Warmer weather brings more buzz to our garden. 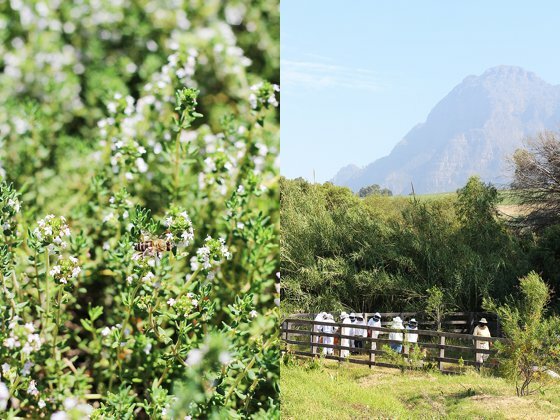 Cape honeybees are VIP residents on Babylonstoren, and are now hard at work foraging for pollen and nectar. 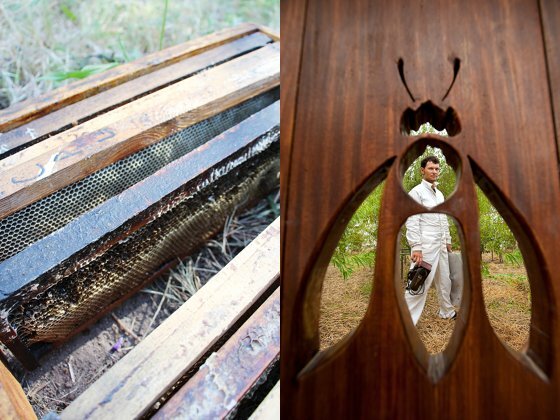 Not only do they produce honey for Babel Restaurant, they also play a key role in the garden ecosystem with pollination. During a bee workshop earlier this month, visitors inspected flowers to see which bees like best. We saw a myriad of these six-legged sweeties on the flowering lavender, thyme, poppies, huilboerboon (African Walnut) and lemon trees. However, pesticides and diseases are taking a toll on bees, and our diligent garden friends need all the TLC we can give them. ● Increase forage: choose varieties of plants that flower at different times of the year, to provide a flow of food for bees. ● Bees and herbs are an item: they feast on thyme, borage, hyssop, wild marjoram, chives, origanum and lavender – small flowers are usually best for bees rather than large ornamentals. ● Plant fruits with blossoms such as pears, apples and citrus. Added bonus: birds and butterflies will also come to visit. ● And don’t be hasty when removing the purple weed Echium Plantagineum, originally from Europe. 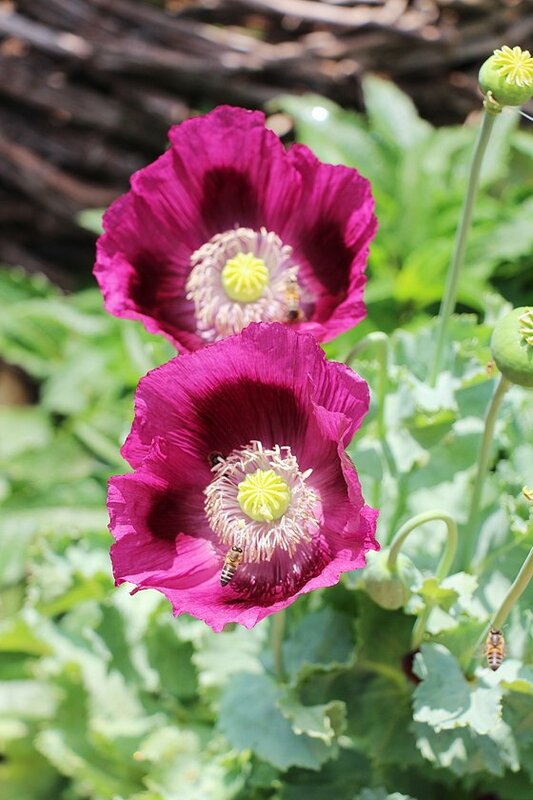 Called Salvation Jane by beekeepers, it’s a culinary delight for bees with plenty of nectar and pollen! ● Also go for indigenous plants like aloes, buchus, ericas and coastal fynbos. ● A bee colony needs up to 20 liters of water a day for optimal functioning. Place some containers with shallow water in your garden, and add a stick of bamboo or a rock as a landing strip. ● Spray as little as possible. If you absolutely have to, spray after hours when bees are not active, or after the blooming period. ● Support your local beekeepers! In the Historical Garden we have six hives in the walled garden, all different shapes – hexagonal, English, longstroth, top bar and two Dutch homes. Peek in when passing by (but please keep the door closed), and proceed to the insect hotel to see which celebs recently checked in. 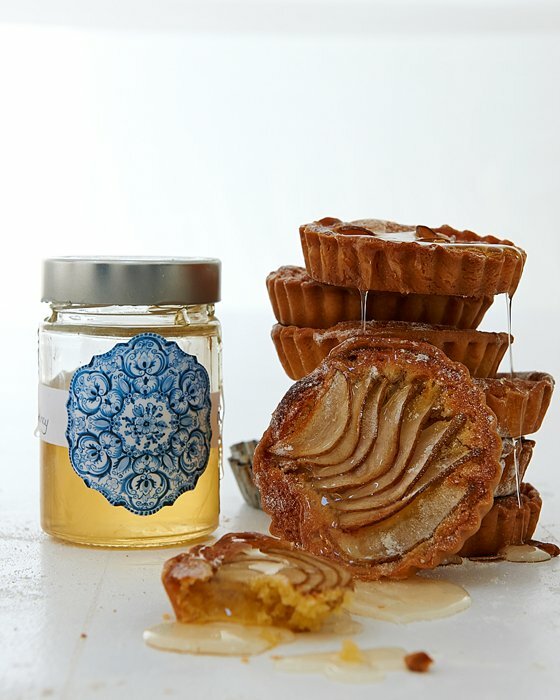 There’s some orange blossom and bluegum honey from our local bees in the farm shop, R78 per jar.